Give a protective coating to the inside of vehicle body panels with 3M Inner Cavity Wax. Cavity wax creeps underneath humidity, is salt resistant and permanent flexible. 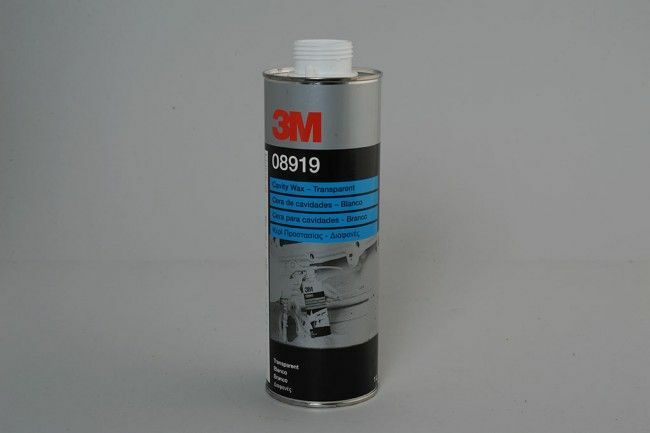 3M Inner Cavity Wax - Transparent (3M 08919) has a heavy consistency and is usually used for engine compartment areas or to protect accessible bare metal parts, i.e. use it for areas where capillary action is not required.